This snippet is also available as an easy-to-use shortcode. Check it out. Want to really entice your visitors into submitting your Entry Limit-enabled form? Display the number of entries left based on the entry limit! You can customize the entries left message by updating the $entries_left_variable. Be sure to place the %s wherever you would like the actual number of entries left to display. Does this snippet just not quite fit what you’re looking to do with Gravity Forms? 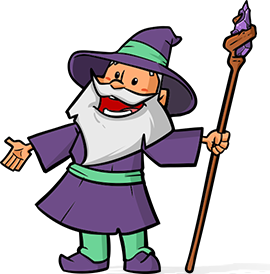 Let us know in the comments or via the Ask Wiz form! 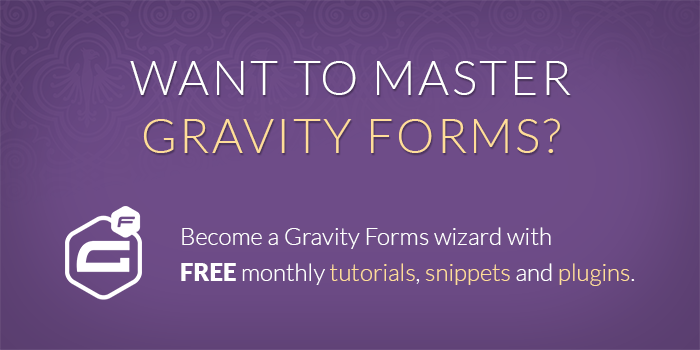 We tempestuously want to hear what kind of magical Gravity Forms functionality you need. Hi David. We’re looking for a slight variation on a theme here. We have a form as a job application. We’d like to limit the form submission to one application per user. This is the same form used for every job, so it would need to work for each new job and per user. There’s a challenge for you! Any ideas? Perfect David, it works a treat! Many thanks for such a quick response. I’m really excited! we want to buy gravity Perks because we would like to use GP Limit Choices. Is it somehow possible to outout (e.g.via a shortcode) within an post the remaining choices for every option in an option field? Hi Phil, yep! Right now it requires a snippet but it the shortcode support will get rolled into the core soon. This sounds great. I need to be able to limit choices e.g. we will have ‘no. of places left’ but on one form we have multiple classes so each class will have to have a limited no. of entries. E.g. Class 1: 20 places, Class 2: 15 places, Class 3: 10 places. This seems to be able to do that: https://gravitywiz.com/documentation/gp-limit-checkboxes – can you confirm, before we purchase it? We need to then display ‘no. of places left’ for each of the classes. Is there a way of reversing this to count all entries across multiple forms and then display how many people in total have registered for a tournament and place it as a shortcode on a page or sidebar? We’re trying to setup a volunteer registration form and we have 4 different roles people can signup for. Each role requires a different number of volunteers (cook=2, bottle washer=4, hostest=1, etc.) so rather than being able to use the GravityForms default limited number of entries, we need to limit the number of entries for each of these options which I want to do via either a drop down menu, check box or radio button. Got any brilliant ideas? Any chance you could get this to work on a per day instead of total entries or can you possibly explain why that’s a no-go? Any help would be appreciated! This could be configured to display the per day limit but it’d require some additional customization. Primarily, the $entry_count variable would need to be modified to use a custom query to return just the entries from that day. Is there a way to add this to a post? Like say I have a list of events. I then create a post for each event with a link to it’s appropriate form, is there a way to display in that post the number of spots left in that particular form? Also, is there a way to apply to all forms instead of having to specify a form id? Why isn’t this feature come stock with gravity forms? Doesn’t it seem pretty basic to add this functionality out of the box? Thanks for your future answers!! Thanks for this. I assume the code is placed in the functions.php of the theme, is that correct? Also, is there a demo of this functionality? Hi Nate, that is correct. No demo available but you’ll know it’s working if you see your limit message displayed in the form description.